A diffuse reflection sensor is used for the direct detection of objects. As with a retro-reflective sensor transmitter and receiver are incorporated into one housing. The transmitter emits light which is reflected by the object to be detected and seen by the receiver. This system does not evaluate the interruption of the light beam but the reflected light of an object. In the use of these photo sensors, it is important to bear in mind the color and the type of surface of the object. With opaque surfaces, the sensing distance is affected by the color of the object. Light colors correspond to the maximum distances and vice-a-versa. In the case of shiny objects, the effect of the surface is more important than the color. The sensing distance in the technical data is related to matte white paper. The switching function referred to light-on (NO) / dark-on (NC) mode is therefore reversed. The transmitted light of this system is also pulsed. 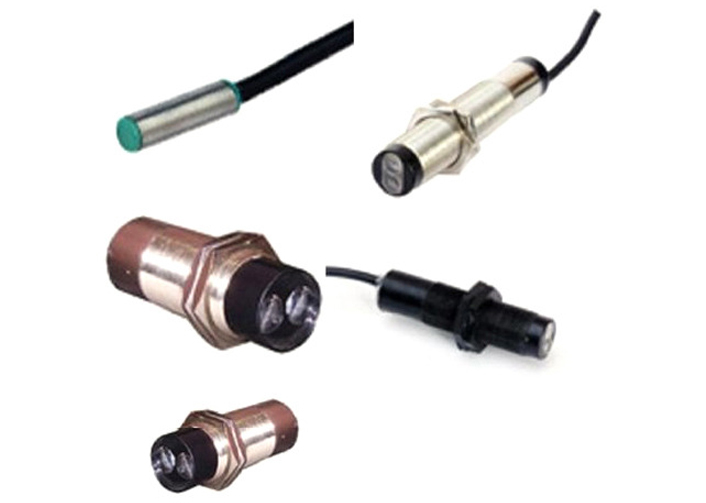 Since transmitter and receiver are integrated into one housing only one voltage supply and thus only one cable are necessary in contrast to through beam sensors. The sensitivity of a diffuse reflection sensor is very high.